The British cycling team is set to get new helmets ahead of the London 2012 Olympic Games. The helmets, which will come into use at the end of this month, have been developed by Bristol-based product design consultancy Crux Product Design. The new helmets will be used for road, sprint, pursuit and para-cycling events, and are specifically designed to fit each athlete. Crux was commissioned to work on the helmet design in 2009 by Dr Scott Drawer, head of research at UK Sport, along with Dr Matthew Parker and cycling star Chris Boardman from British Cycling. The consultancy began the project by taking 3D laser scans of each individual cyclist’s head, from which 3D CAD models were created. 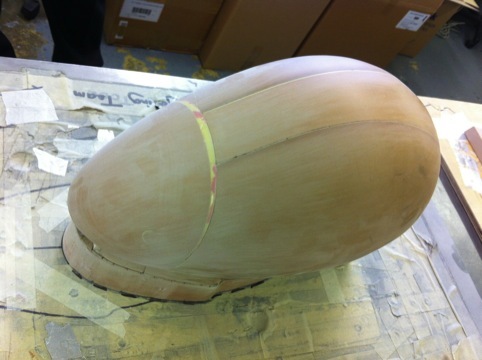 Rapid prototyping was used to generate models of the helmets, which were tested by the athletes to ensure the best fit. A dual-shell structure is used, comprising a fitted inner shell and an outer shell that is shaped for optimum aerodynamic performance. 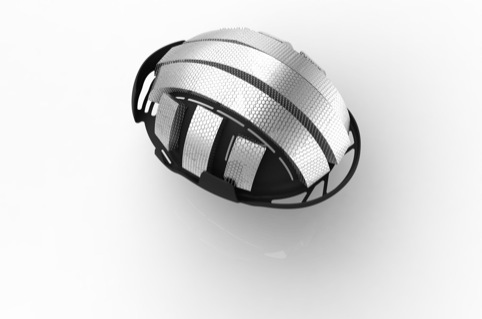 Between these shells is an energy-absorbing aluminium honeycomb safety material, which is the subject of patent applications, while visors use a polycarbonate material also used in riot shields. The consultancy adds that the project came in at 50 per cent under budget. UK Sport’s Dr Scott Drawer says ‘Our job is to ensure out athletes make it to the start line among the best prepared and most feared in the world. Paint a few black and send them to the Kiwi team! Wow what a cool helmet will it be available to the public.